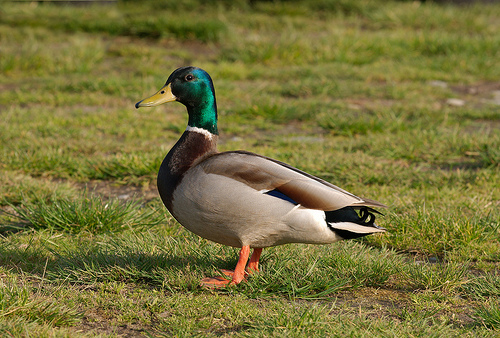 The Mallard is the most common duck in western Europe, and often may be seen in parks and ponds. Many park-ducks have mated with other species of ducks, which almost leads to a new species: the soup duck, sometimes also referred to by its Latin name Anas Unox. The Mallard has a blue spot on the flanks. The Gadwall has a white spot. 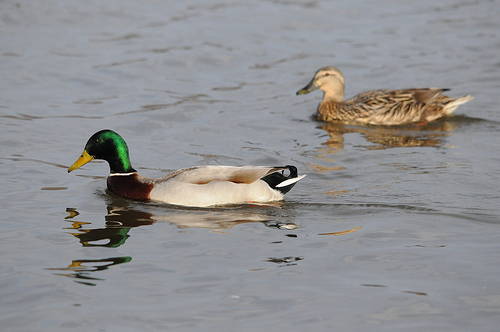 The Mallard has a dark-green head. The Mallard has a normal-sized bill, the Shoveler has a very large bill.